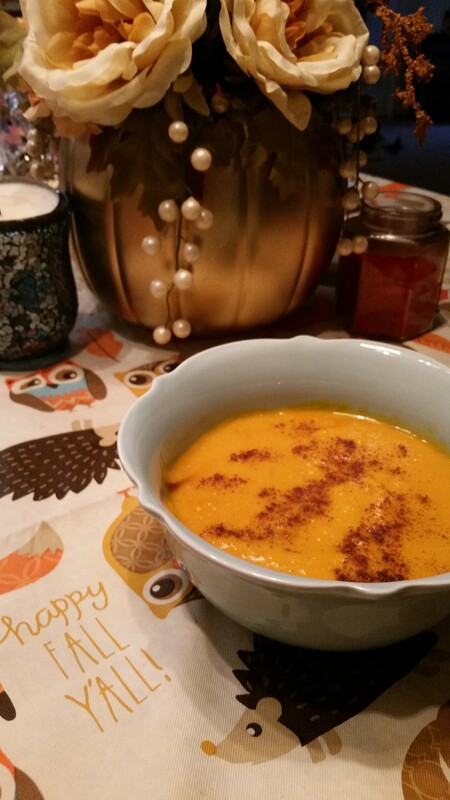 I love this time of year and the foods that come with it–pumpkin pies, apple cider, and of course my favorite Butternut Squash Soup. As much as I love Panera’s version, visiting them everyday just isn’t affordable or practical for me or our family so I found a great recipe I can make at home. My kids love this as soup as much as I do! 1. In a large soup pot, cook onion in coconut oil until onion is soft. Add garlic and cook for an additional 30 seconds. 2. Add pumpkin, squash,apple, broth, honey, and spices. 3. Bring to a boil, cover and lower to a simmer until the squash is tender. 4. Blend in batches until smooth. 5. Transfer back to the pot and stir in heavy cream. Heat through.